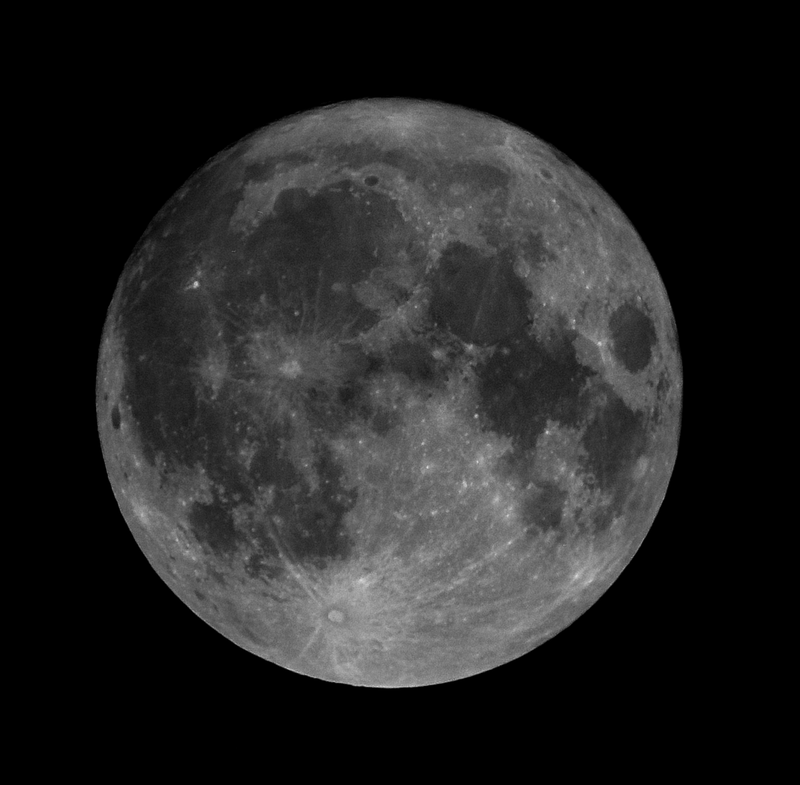 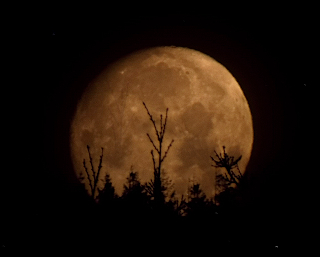 This is the smallest Full Moon of the year and is about 14% smaller than other Full Moons will be during 2014. 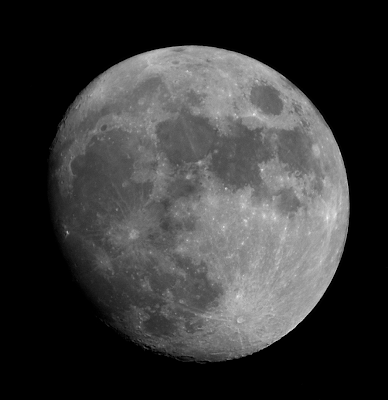 The Moon is at apogee. 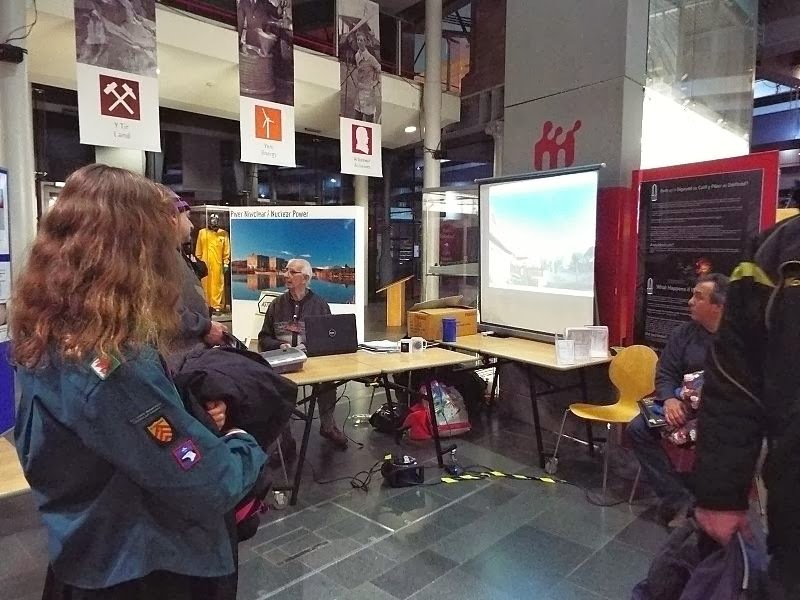 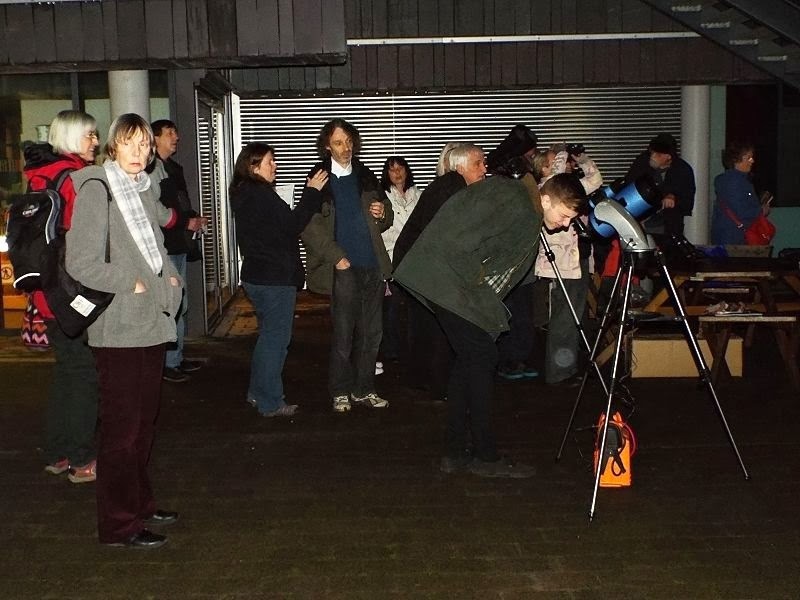 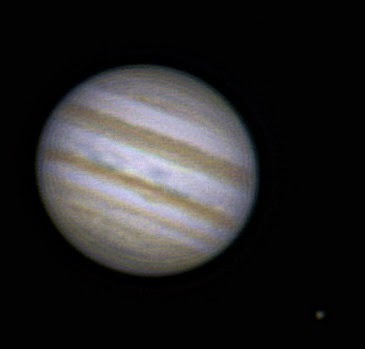 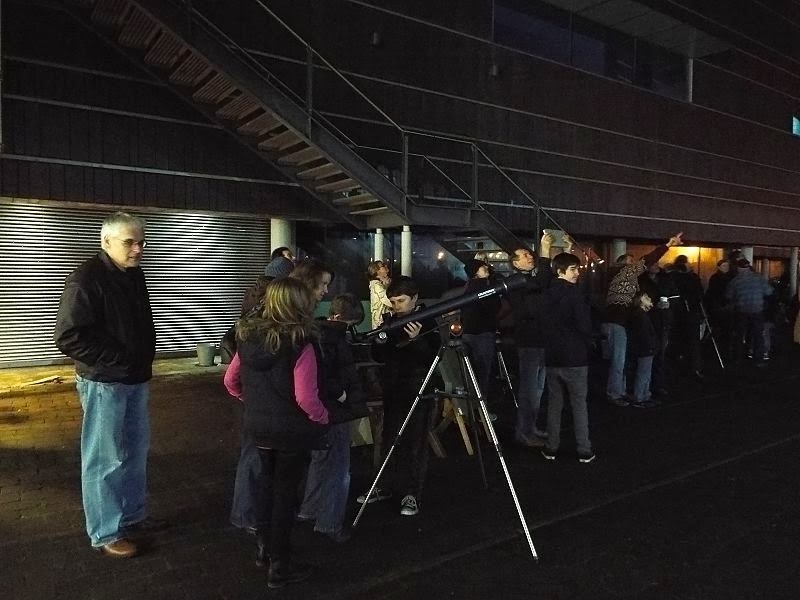 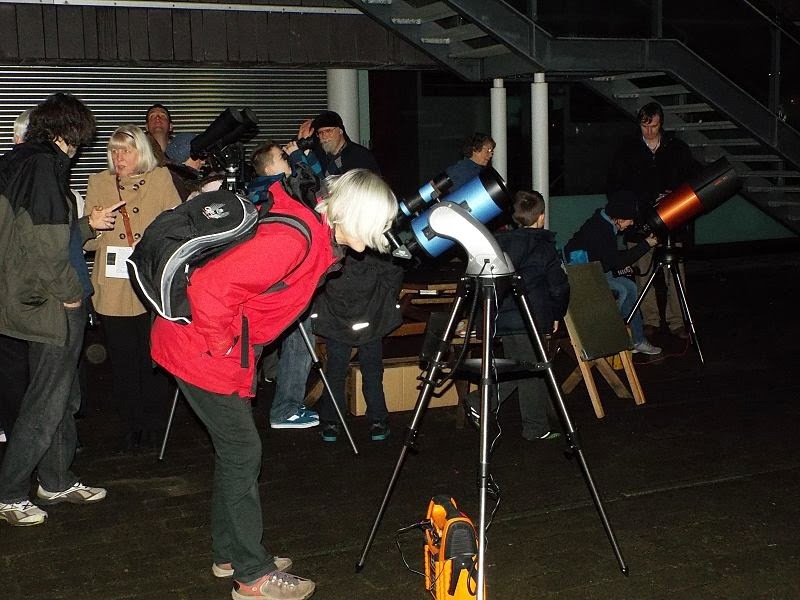 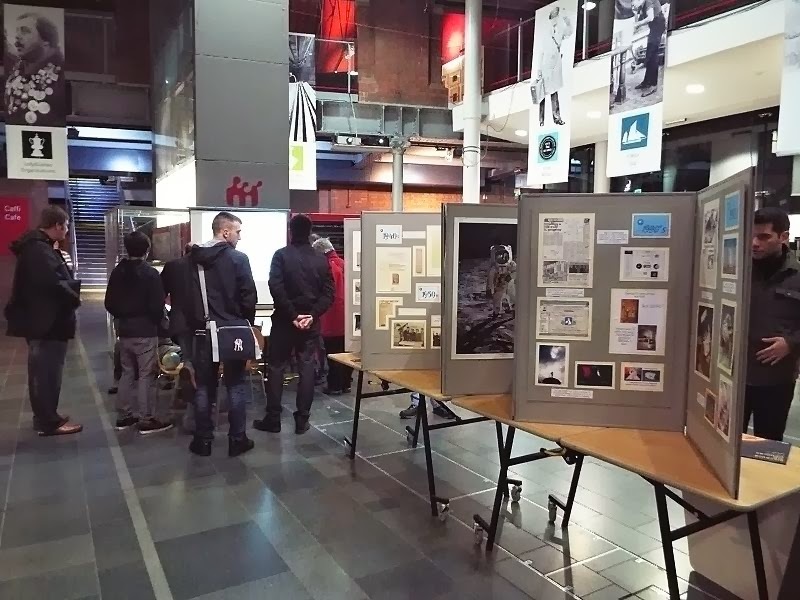 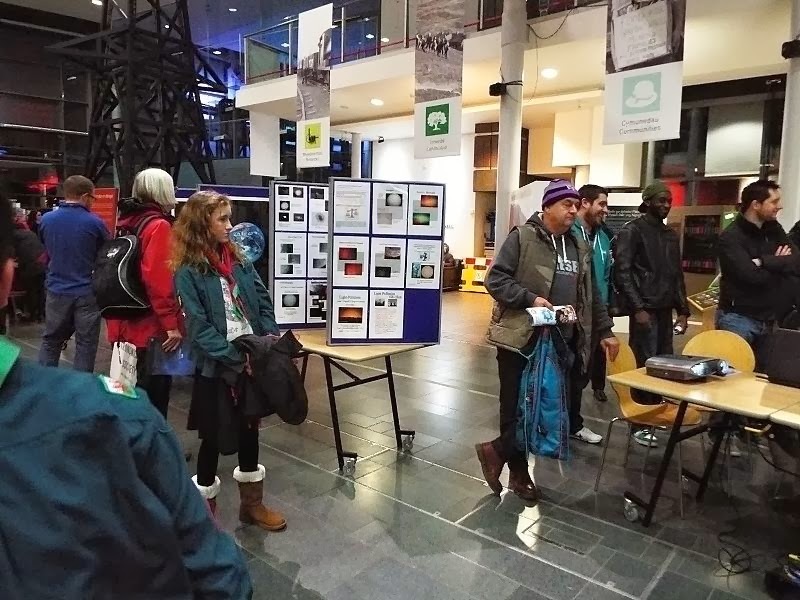 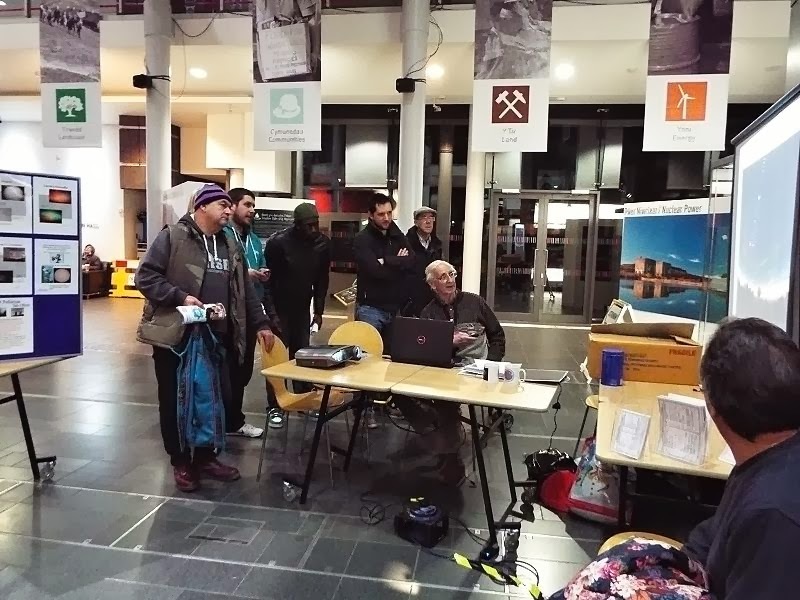 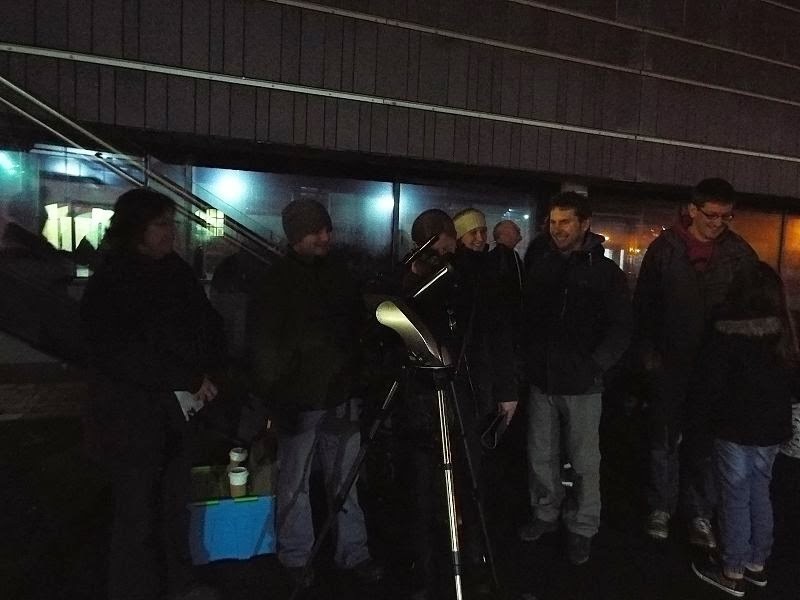 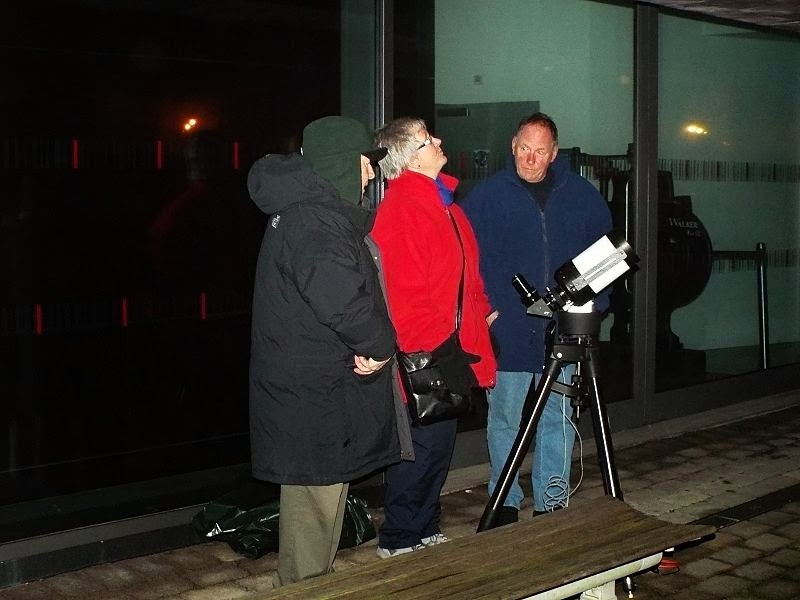 On Saturday night, members of the Swansea Astronomical Society assisted Dr Rhodri Evans, Honorary Research Fellow in the School of Astronomy and Physics, Cardiff University, and Telesgop Productions in the filming of an item on astronomical Observing for a science TV series. 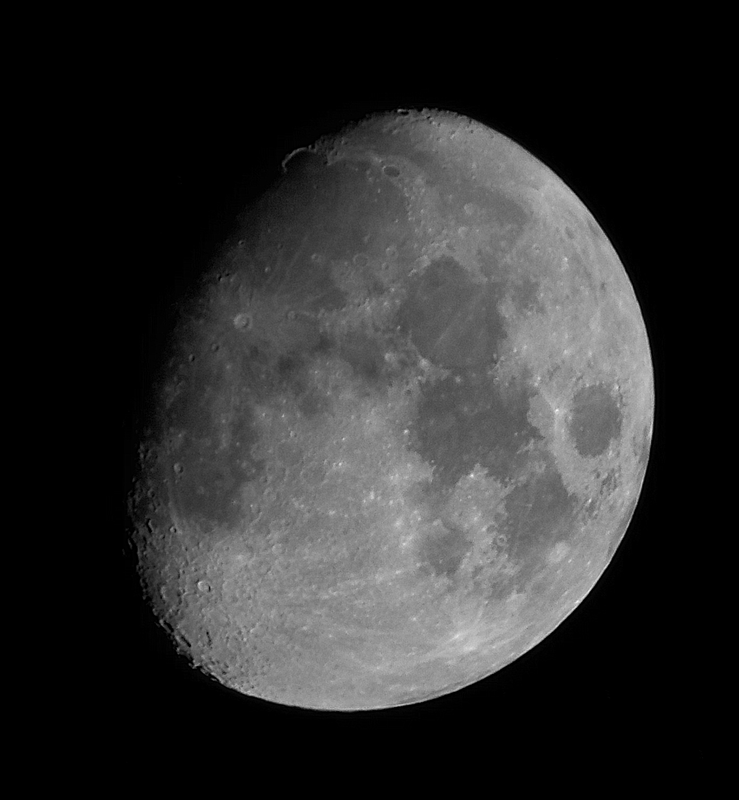 A large monitor (overexposed in this image) showed magnificent live images of the Moon while Rhodri made a commentary.